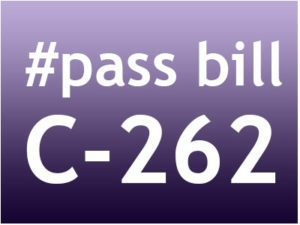 Canadian churches are committed to the full implementation of the UN Declaration on the Rights of Indigenous Peoples as a crucial means for achieving reconciliation between Indigenous and settlers in Canada. 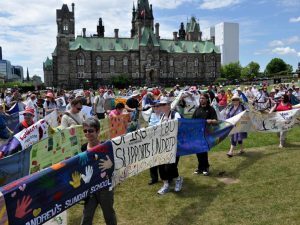 The Truth and Reconciliation Commission of Canada (TRC) named the UN Declaration in 16 Calls to Action. Some Frequently Asked Questions about the UN Declaration. A resource for congregations on how to produce banners declaring their commitment to reconciliation. 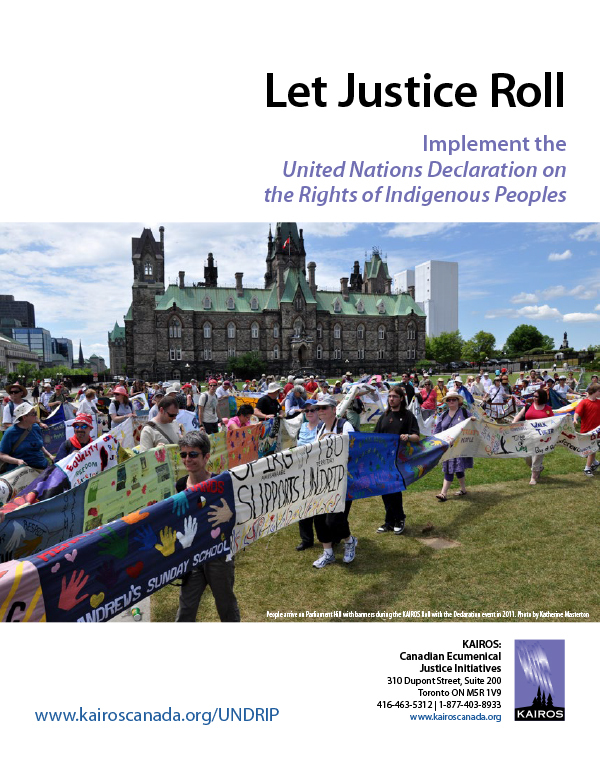 Download the 11-page digital version of Let Justice Roll: Implement the United Nations Declaration on the Rights of Indigenous Peoples. 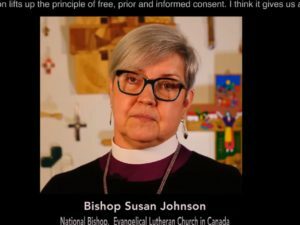 This campaign is coordinated by members of KAIROS: Canadian Ecumenical Justice Initiatives in collaboration with Mennonite Church Canada (Indigenous Relations) and Canadian Baptist Congregations. Press conference: Churches respond to TRC deadline on Call to Action #48 – March 30, 2016. 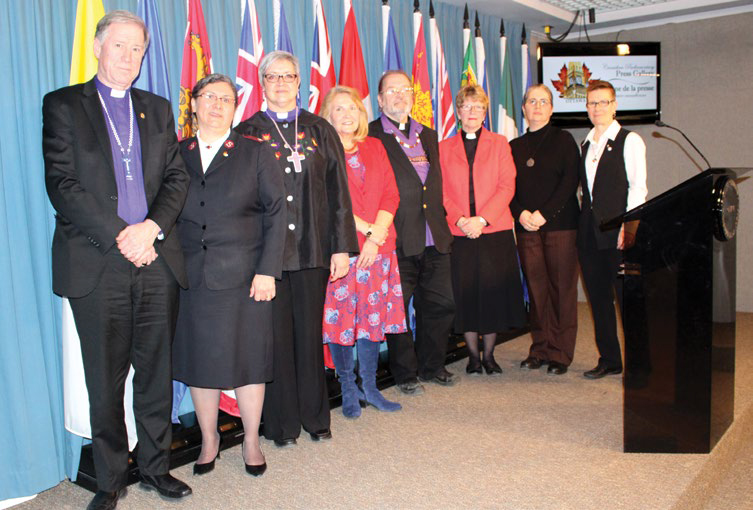 From left to right the Most Rev Fred Hiltz, Primate, Anglican Church of Canada; Major Shari Russell, Salvation Army; the Rev Susan Johnson, National Bishop, Evangelical Lutheran Church in Canada; Dr. Marie Wilson, Commissioner, Truth and Reconciliation Commission of Canada; the Right Reverend Mark MacDonald, National Indigenous Anglican Bishop; the Rev. Karen Horst, Moderator, Presbyterian Church in Canada; Manuela Popovici, Religious Society of Friends (Quakers), and the Right Reverend Jordan Cantwell, Moderator, United Church of Canada.